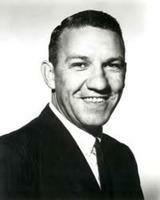 After five years in the NBA, Schaus returned to WVU in 1954 to coach the most successful teams in school history. Led first by “Hot Rod” Hundley, then Jerry West, WVU made it to six straight NCAA Tournaments and lost the 1959 national title game by only a point. In 1960, Schaus moved back to the NBA. In seven years as the Los Angeles Lakers’ head coach, he won four conference titles but lost in the finals each time to Boston. In 1967, he became the Lakers’ general manager and built the team that won the 1972 NBA title. Schaus then went back to the college ranks and coached Purdue for six years. In 1981, he returned to his alma mater to serve as WVU’s athletic director. He retired in 1989. Schaus still holds the best winning percentage of any men’s basketball coach in WVU history. In seven years as the Los Angeles Lakers’ head coach, he won four conference titles but lost in the finals each time to Boston.